Edgar Garcia-Rill, Ph.D., recently co-authored a Kentucky Law Review article that offers insights into the nature of criminal intent . May. 23, 2018 | May 23, 2018 | A University of Arkansas for Medical Sciences (UAMS) professor of neurobiology recently co-authored a Kentucky Law Review article that offers insights into the nature of criminal intent and urges the court system to admit more expert testimony into trials regarding the subject. In “Actus Reus, Mens Rea, and Brain Science: What Do Volition and Intent Really Mean?,” Edgar Garcia-Rill, Ph.D., and the late Erica Beecher-Monas, J.D., give the example of someone walking along a sidewalk while in conversation yet being ‘preconscious’ of traffic and other pedestrians so as to allow for safe navigation. 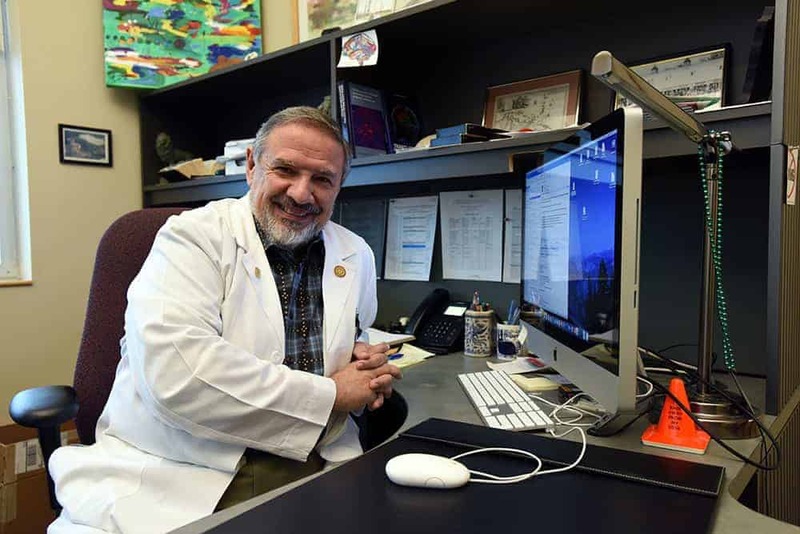 Garcia-Rill is director of the UAMS Center for Translational Neuroscience, funded by the National Institute for General Medical Sciences’ IDeA Program. Beecher-Monas was a professor of law at Wayne State University until her death in the summer of 2017. Garcia-Rill and Beecher-Monas argue that the legal concepts of criminal act and criminal intent are outmoded. Refusing to admit expert testimony about mental illness is contributing to the complex problem of mental illness among prison inmates and failing to protect society when the convicted are released, Garcia-Rill and Beecher-Monas argue. “Judges should instead admit expert testimony so the jury can perform its interpretive and evaluative functions,” they conclude. The article and the edition of Kentucky Law Review in which it was published were dedicated to the family of Beecher-Monas.